A federal judge has struck down the Department of Education’s “gainful employment” rules, which the Obama Adminstration issued last year and were designed to stop career training and for-profit schools from leaving students with massive amounts of debt but no job prospects. The for-profit schools had opposed the regulation, and Judge Contreras agreed saying that the provisions meant to measure schools’ preparation of students had "no real basis." Delaware has passed a law giving students privacy protections over what they post online. The law will ban private and public schools from demanding access to students’ social media accounts. It appears as though there’ll soon be enough signatures on a Washington initiative to allow charter schools in the state to put the measure on the ballot. Voters in Washington have rejected charter schools 3 times in the past: in 1996, 2000, and 2004. But hey, this is how democracy works, right? Let’s try to get the law passed again, this time tapping into the deep pockets of the Washington elite, including $1 million donated by Bill Gates, $100,000 from Microsoft co-founder Paul Allen, and $450,000 from the parents of Amazon CEO Jeff Bezos. The Seattle Times has a look at the out-of-state “ballot initiative professionals” who are getting paid around $4 per signature gathered. The four middle school boys who bullied bus monitor Karen Klein in an incident that “went viral” thanks to YouTube and IndieGogo have been suspended for school for a year. Video of the teens mercilessly taunting Klein until she broke down in tears was posted online and a subsequent crowdfunding campaign raised over $600,000 for her to take a vacation. Big news from CERN: on Wednesday, physicists at the research facility held a press conference announcing that they may have discovered the Higgs-Boson particle. 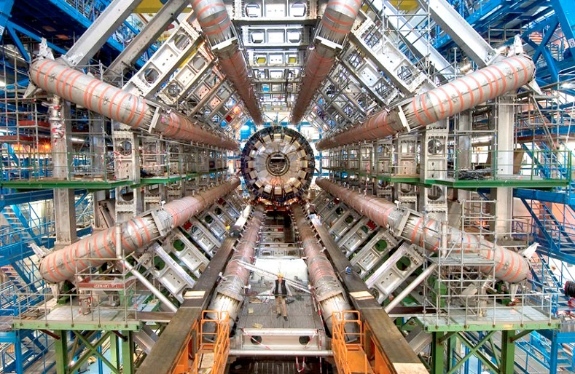 BoingBoing’s Maggie Koerth-Baker has a great round-up of the news, explanations of what the subatomic particle is as well as what the announcement means for physics (and for science funding). GSV Advisors has issued a report it’s titled “Fall of the Wall,” tracking the increased investment funding in the education sector. Among the findings, 2011 had more education investments than at the peak of the Internet boom – 127 in 2011; 106 in 1999. But these investments are smaller – on average $9 million in 2011 as opposed to $13 million in 1999. No bubble here, folks, right? The Library of Congress has released the results of a survey it took, asking institutions about their plans for archiving their websites and other digital materials. The Atlantic examines the results, which highlight how new these efforts are (most began their digital preservation efforts within the last four years) as well as how social media is being largely left out of the archival process. At the Aspen Ideas Festival, American Federation of Teachers President Randi Weingarten proposed her “big idea” – a “bar exam” for teachers, something she argued would help curb the prevailing notion that teachers aren’t qualified to teach. Stanford University recently announced that computer science has become the largest major on campus, with more than 90% of its students taking at least one CS class. The school is now considering how it might redesign the degree and its core curriculum. A new social network and media site for teens came out of stealth mode this week, touting an impressive list of funders and founders: #waywire. Co-founders include Newark mayor Cory Booker and investors include Google Chairman Eric Schmidt and Oprah Winfrey. All Things D describes #waywire as a “media company where teens and young adults can share user-generated content, kick off a debate and spur discussion.” The site plans its official launch this fall but is accepting registrations now. Chicago-based test prep company BenchPrep announced it has raised $6 million. The company makes mobile apps for people to study for the LSAT, GRE, and so on. Techcrunch has the details.